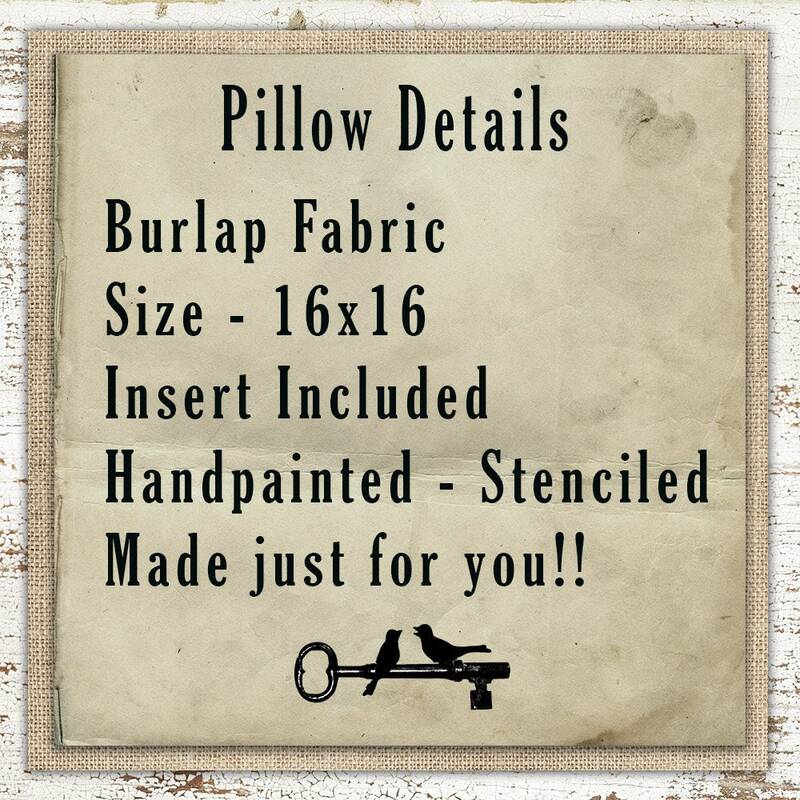 We are now offering our Hope pillow with the design stenciled on in vibrant color. The blue birds look so pretty against the backdrop of the creamy white burlap. 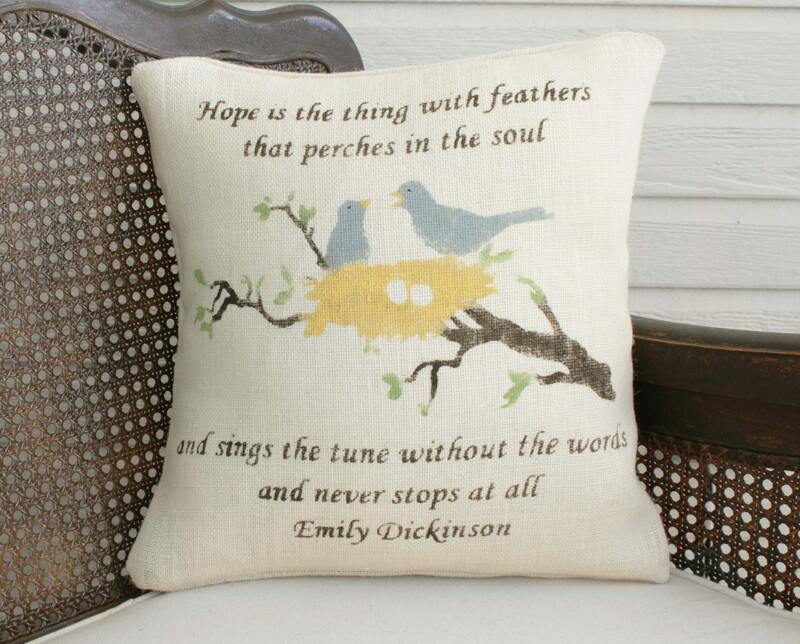 This pillow has one of my favorite quotes “hope is the thing with feathers that perches in the soul, and sings the tune without the words and never stops at all” Emily Dickinson. 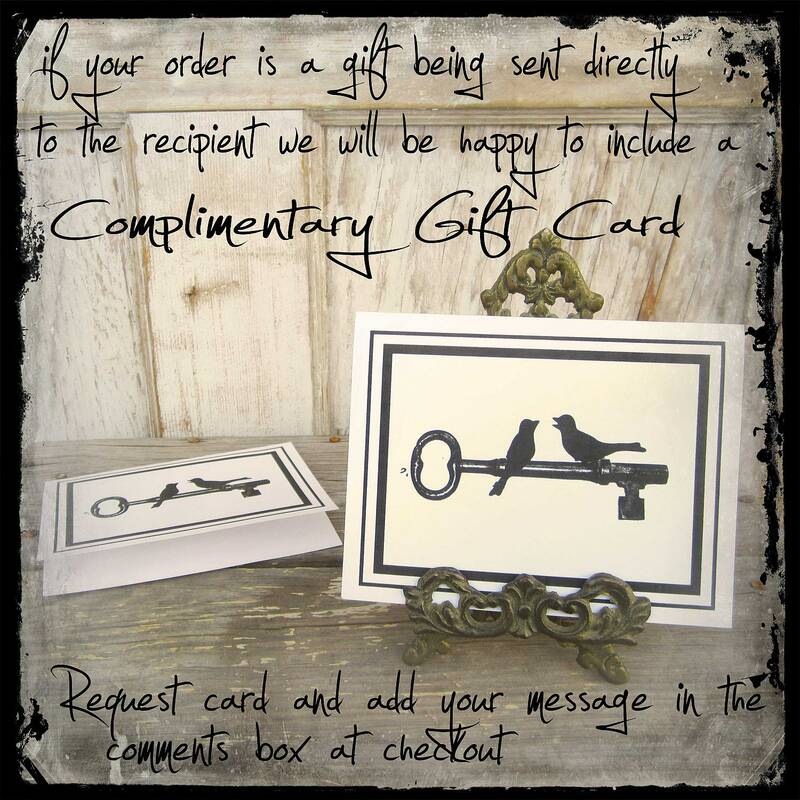 Lovely design, excellent quality. Thank you! It's perfect :) Just as described, shipped fast. My mom loves Emily Dickinson and I just know she will love this pillow.